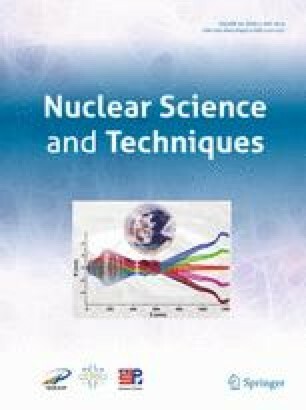 In this study, a displacement-reactivity feedback model, which can directly represent the inherent “thermal expansion extinction effect” of fast burst reactors (FBRs), was developed with the aid of the static neutron transport component of the FBR-MPC code. Dynamic behaviors of bursts in the Godiva I reactor were simulated by coupling the simplified multiphysics models consisting of the point kinetic equations for neutronics, adiabatic equation for temperature, and thermoelastic equations for displacement/stress with the developed model. The results were compared with the corresponding experimental data and those obtained using the traditional fission yield (temperature rise)-reactivity feedback models. It was found that the developed model can provide good results for the bursts with no or a small inertia effect. For the bursts with a prominent inertia effect, the smaller burst width and asymmetric distribution of the fission rate curve, noticed in the experiments but not evident using the traditional models, can be reproduced. In addition, the realistic oscillations in reactivity and fission rate caused by the core vibration, as well as the deeper sub-prompt criticality in the plateau following the burst, can be observed. Therefore, the developed displacement-reactivity feedback model can be expected to be an effective tool for calculating the dynamic behaviors of bursts. This work was supported by a General Financial Grant from the China Postdoctoral Science Foundation (No. 2017M623313XB) and Key Laboratory of Neutron Physics, CAEP (No. 2018BA02).